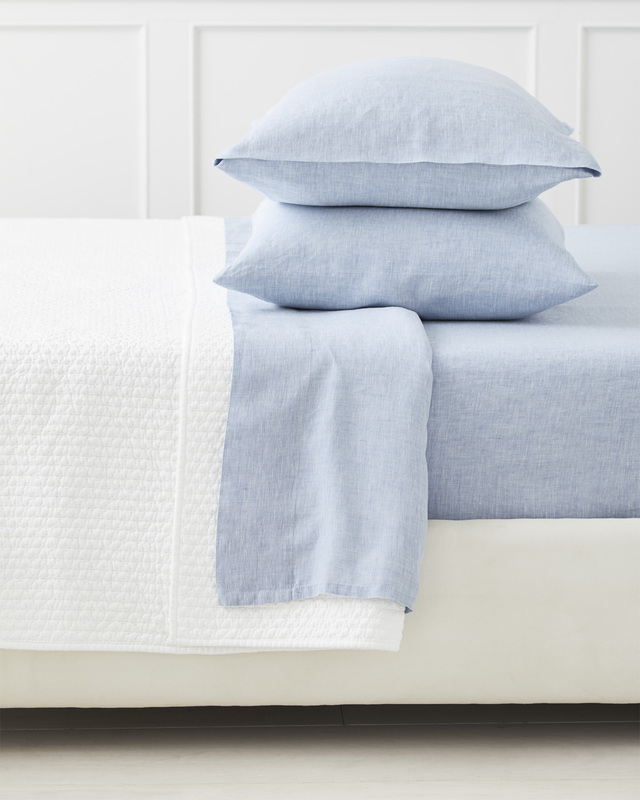 Cavallo Linen Bedding SetCavallo Linen Bedding Set, alt="Cavallo Linen Bedding Set, "
Made of gorgeous European linen, this is the bedding of our dreams: light as air, luxe, refined. 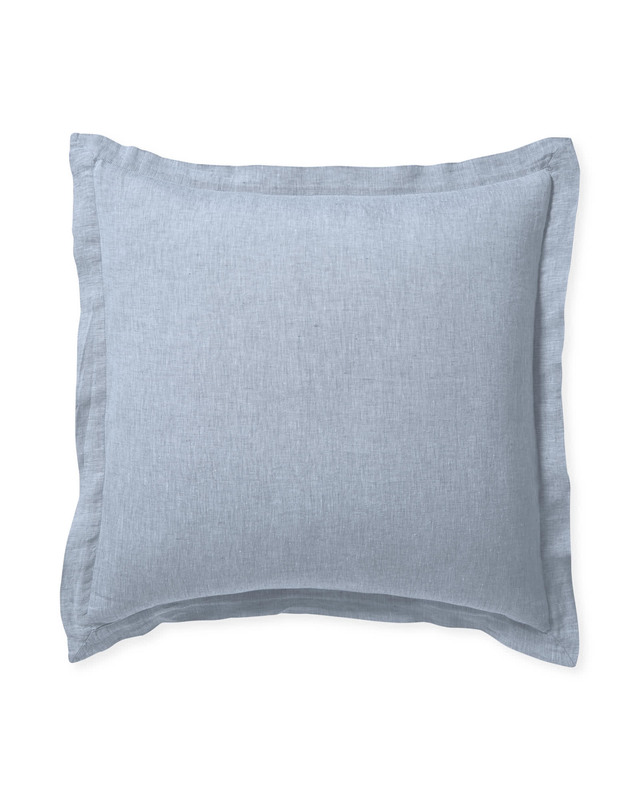 To get the color and texture just right, we opted for a chambray weave – a technique that crosses white and dyed yarns for a pleasantly soft look. 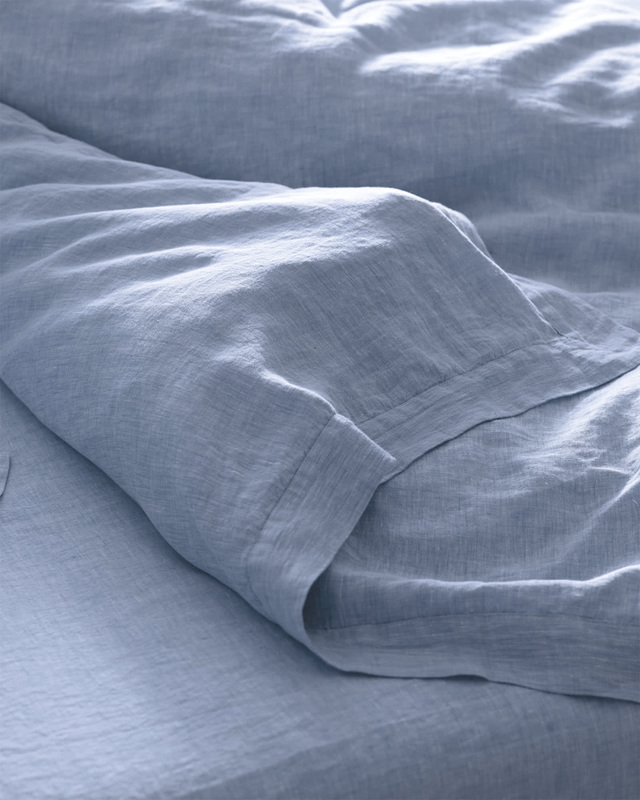 It has all of linen’s breathability, too, keeping you cool and comfy on warmer nights, yet perfectly cozy when the temperature drops. 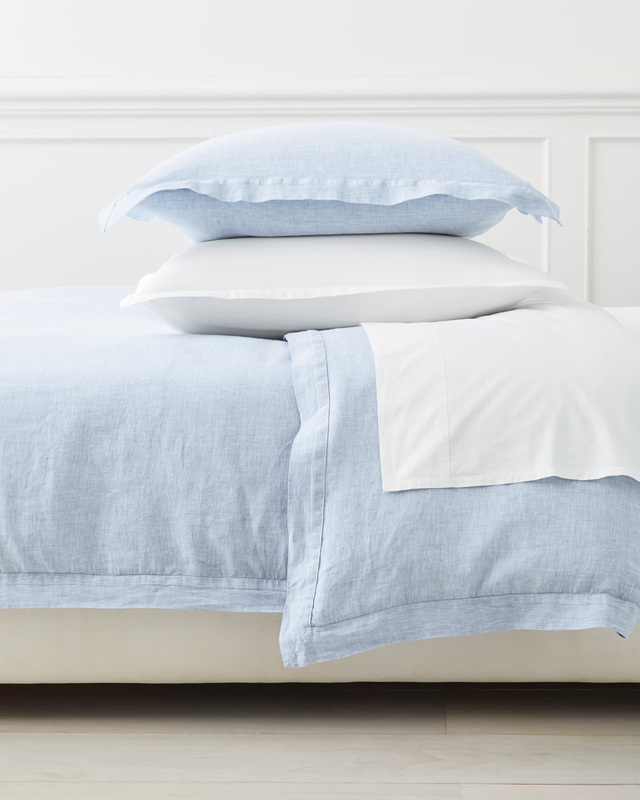 Specially washed for an instantly relaxed feel, it gets even softer with repeated laundering. 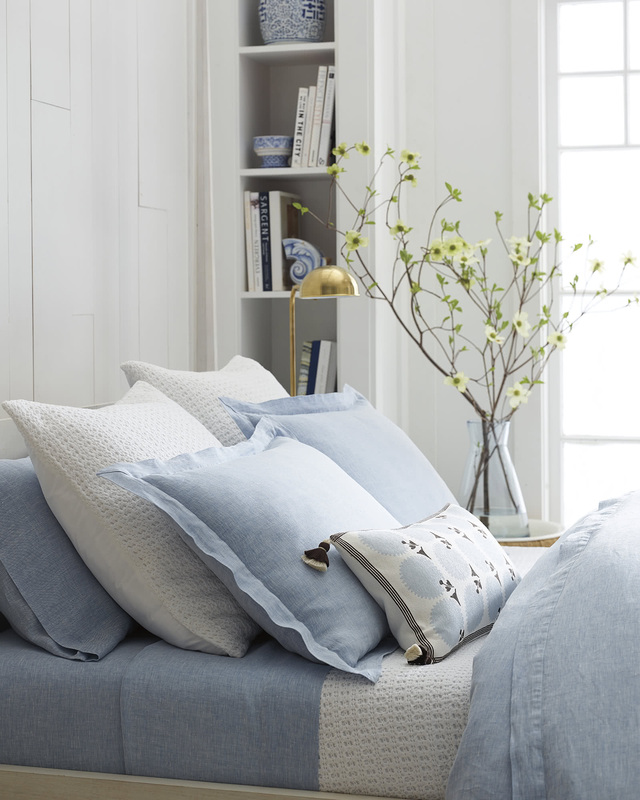 100% European linen that’s yarn-dyed and chambray-woven.